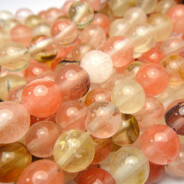 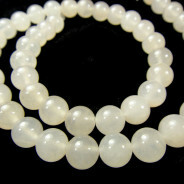 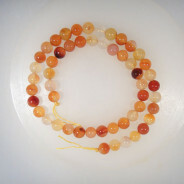 Goldstone Round 8mm Beads (~50pce Strand) - 40cm/16'" Strand. 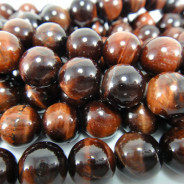 Goldstone is a type of glittering glass made in a low-oxygen reducing atmosphere. 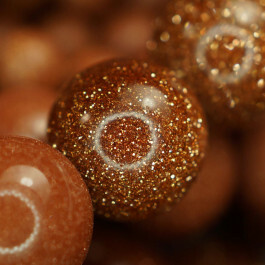 The finished product can take a smooth polish and be carved into beads, figurines, or other artefacts suitable for semiprecious stone, and in fact goldstone is often mistaken for or misrepresented as a natural material.